Sonnax rebuilt valve body FM095 is no longer in production. Please check with your distributor for availability. 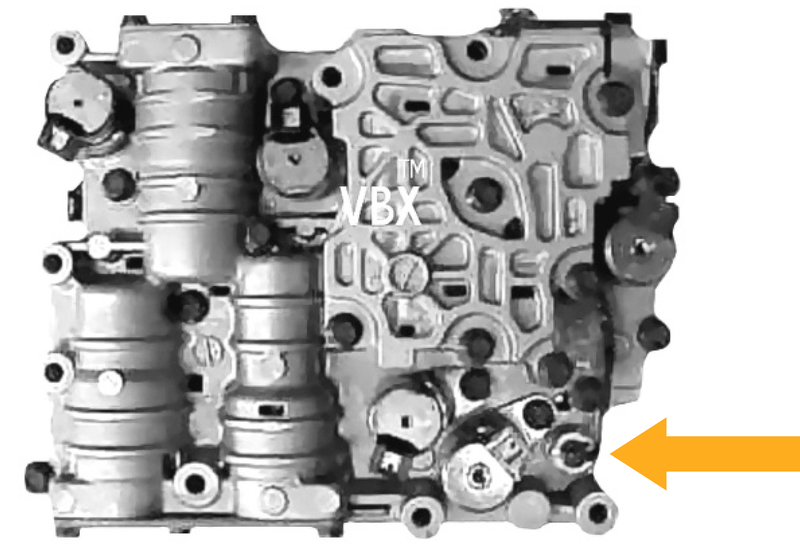 For service inquiries, please see details on Sonnax’s Limited Lifetime Warranty on remanufactured valve bodies. This family of transaxles does not use gaskets between the case halves. Instead, a sealing compound is used. Always use Loctite 518 Gasket Eliminator or equivalent. Loctite 518 is an anaerobic sealant that cures rapidly in the absence of air between two close fitting metal surfaces. DO NOT use RTV Sealant to seal the case halves! If you use RTV Sealant to seal the case halves, pieces of the sealant break off and find their way into the, and clog screens, solenoids, plug holes in the separator plate and stick valves. A variety of transmission problems can occur, the most common of which are slipping or no Reverse, eventually burning up the Reverse clutch. 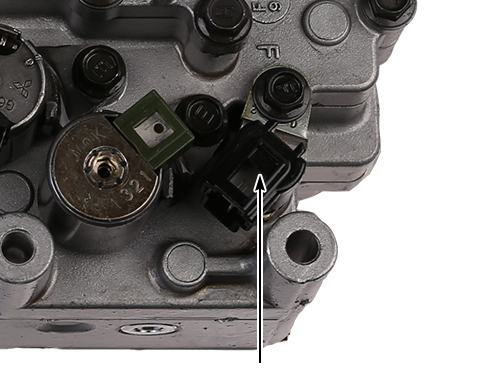 Please count the number of solenoids to determine the correct valve body for your application. If you have 6 or 7 solenoids, verify whether the valve body has a plug- or wire-type temperature sensor, which does NOT count as a solenoid. See the orange arrow for the location of the temperature sensor. The wire-type TOT sensor threads into the valve body and has two wires that are permanently attached to the TOT Sensor. See arrow above. 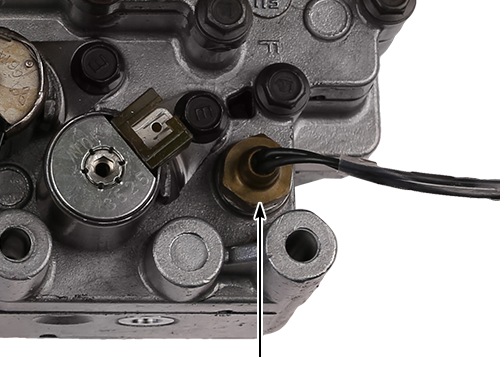 The plug-type TOT sensor pushes into the valve body and has a bracket and bolt that retain it in position. See arrow above.